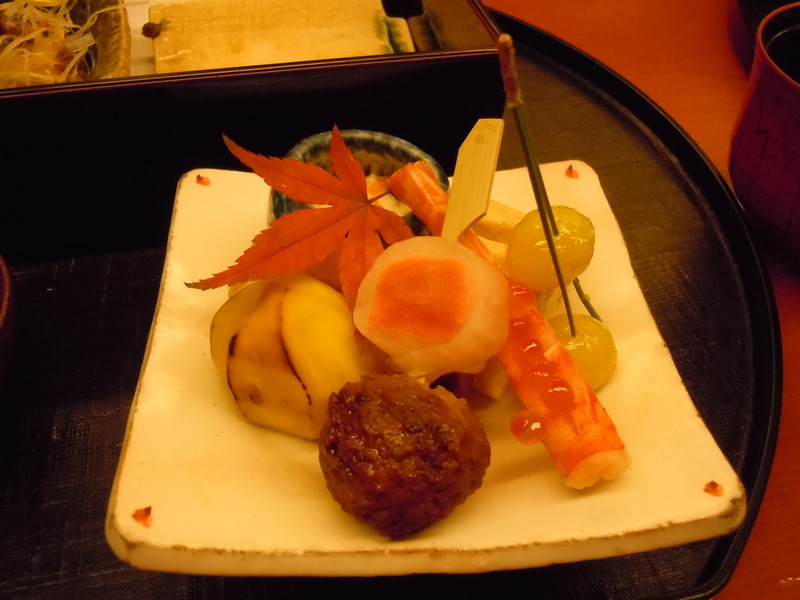 Shunbou is the Japanese restaurant at the Grand Hyatt in Roppongi. 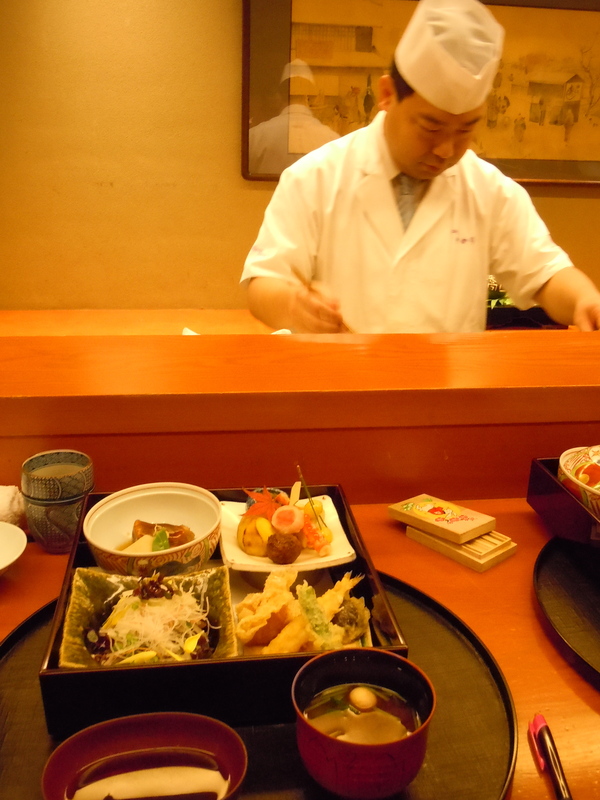 The Grand Hyatt has several Japanese restaurants including Roku Roku for sushi and Keyakizaka for teppanyaki. 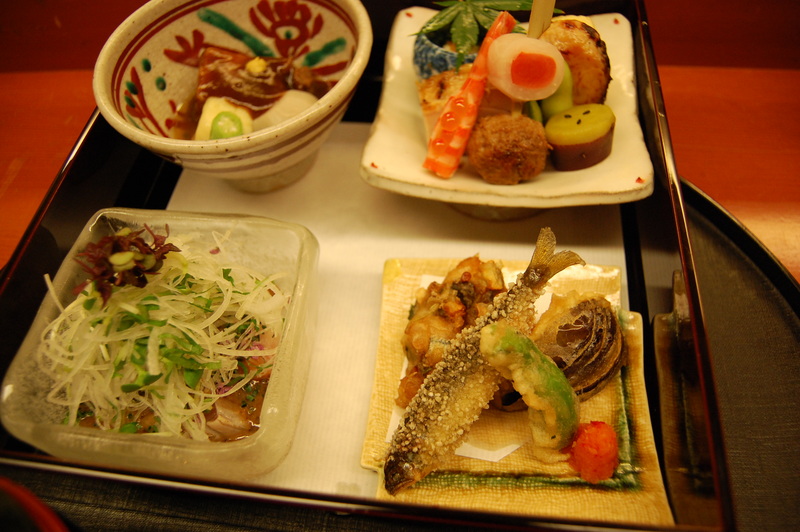 Shunbou features seasonal kaiseki dishes as well as comfort food like curry udon. 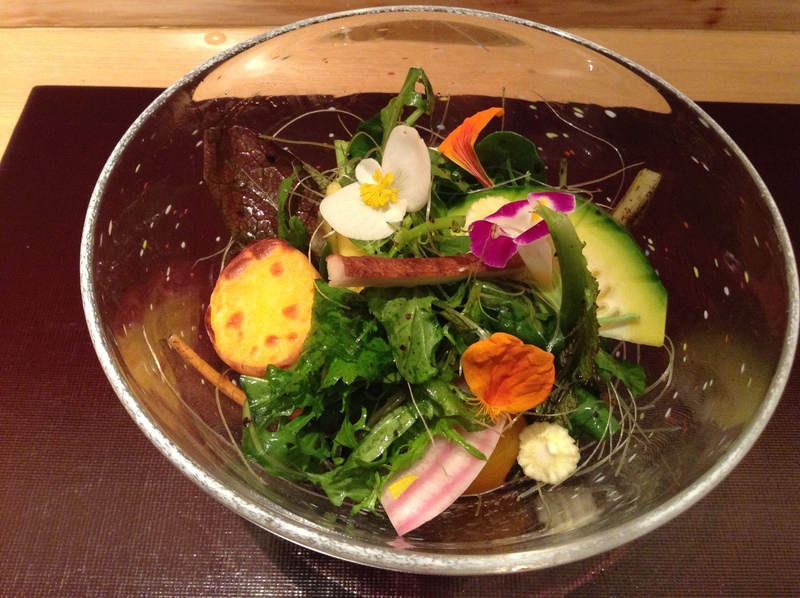 It is kid-friendly and a great option in the Roppongi area. Entering the restaurant seasonal produce is displayed, as are large earthenware serving dishes. The main dining room is in granite and there is an inner garden behind windows that opens up to the sky, bringing in sunlight, or on this day, rain sprinkling on the rocks and tree. 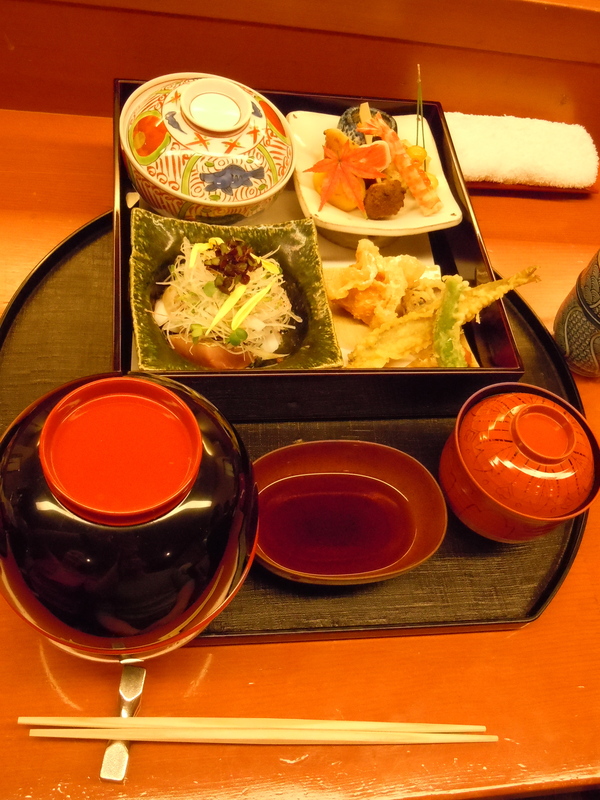 I joined a friend for lunch here and ordered the shun-sai lunch box (5,300 JPY). 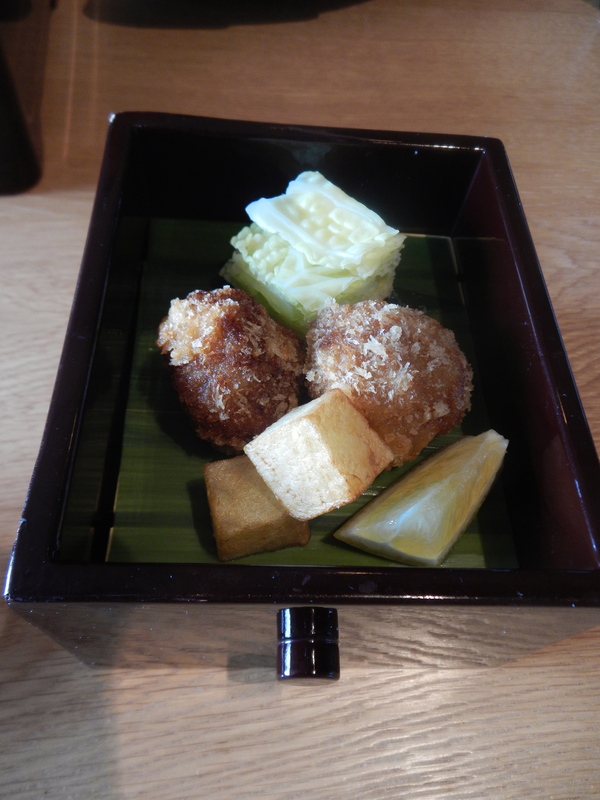 The presentation is gorgeous as lunch comes in a wooden box with three tiers. 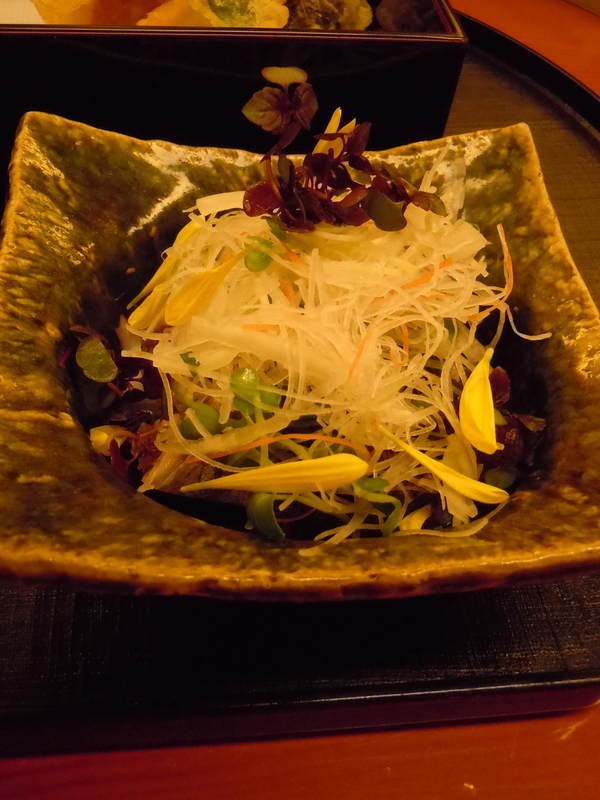 The appetizer for the autumn lunch is a chrysanthemum tofu topped with chrysanthemum petals. 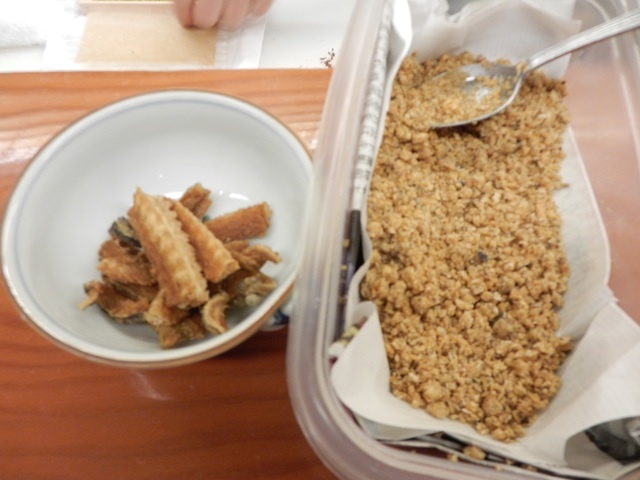 The first tier was composed of tuna sashimi, yuba (soy milk skin), mozuku (a slippery sea vegetable), and grilled sanma (Pacific saury). The second tier included crab cream croquette and grilled salmon. 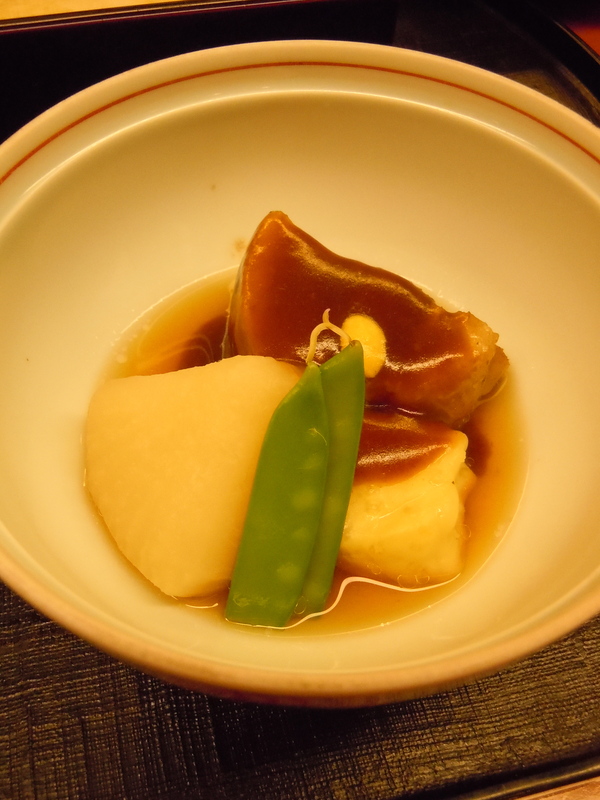 Grilled Iberico pork, unohana (tofu lees with vegetables), and boiled vegetables completed the third tier. 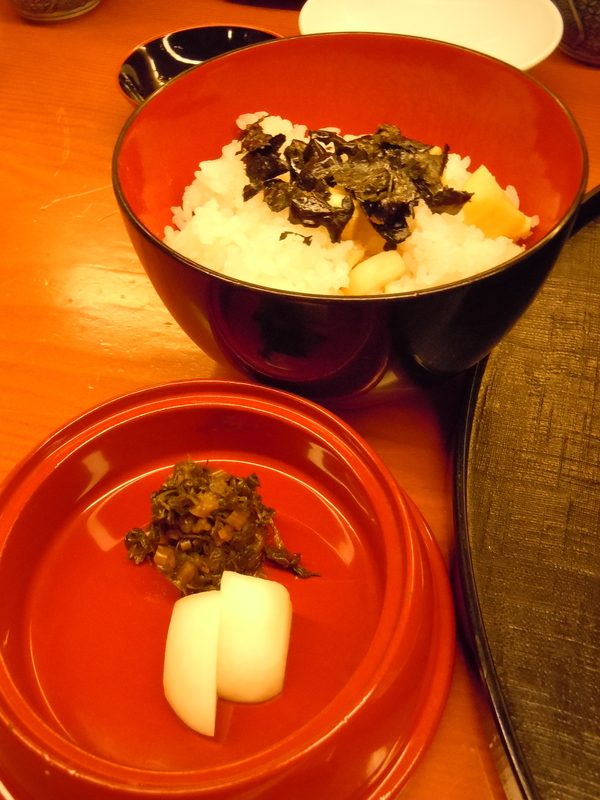 Separately takikomigohan of vegetables cooked with rice, grilled eggplant miso soup, and pickles round out the lunch. 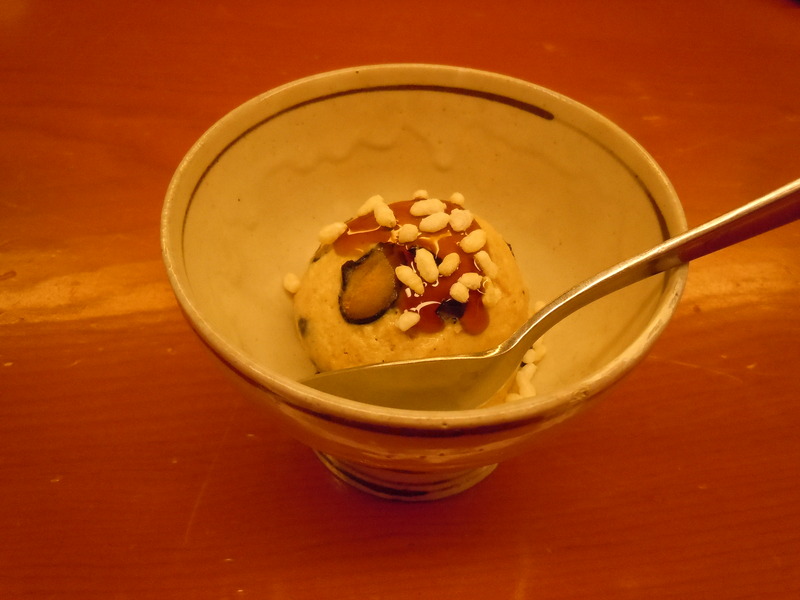 Dessert is a petit kuri chestnut wagashi, not too sweet. 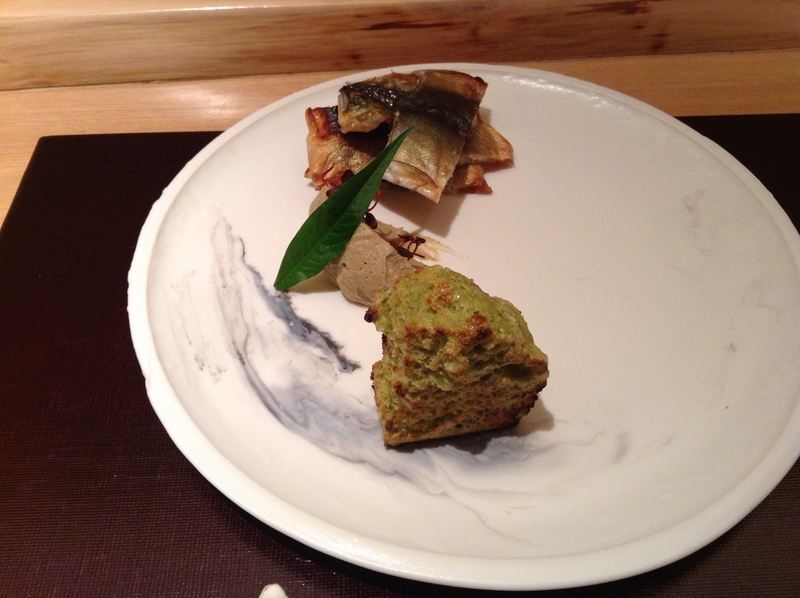 It was a perfect mini-kaiseki including all of the components and was a great way to sense the seasons. 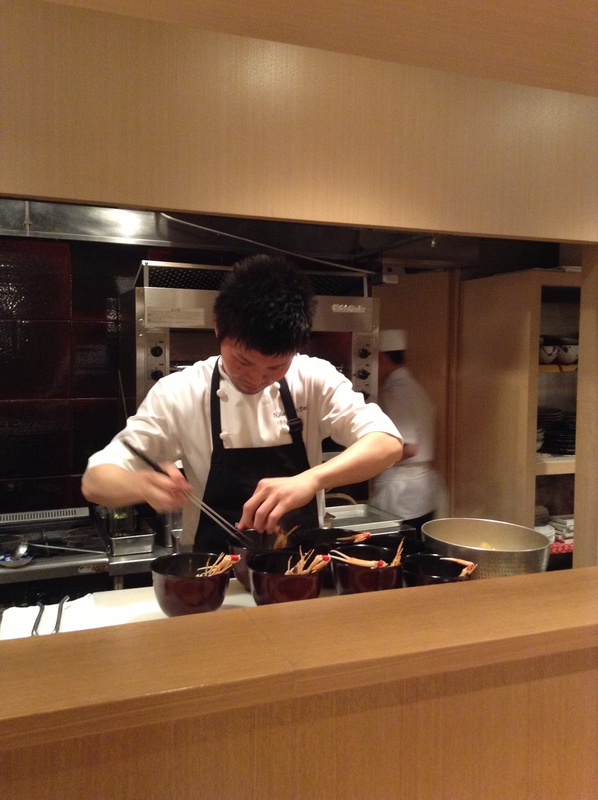 Executive sous chef, Takuya Nezasa, was with Nadaman for thirteen years before coming to Shunbou. 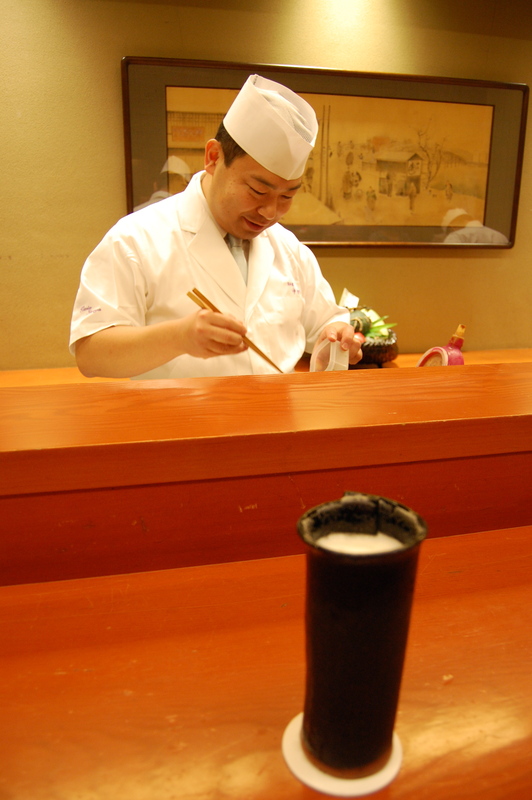 Nadaman for Tokyoites is a revered establishment with a 185-year history. 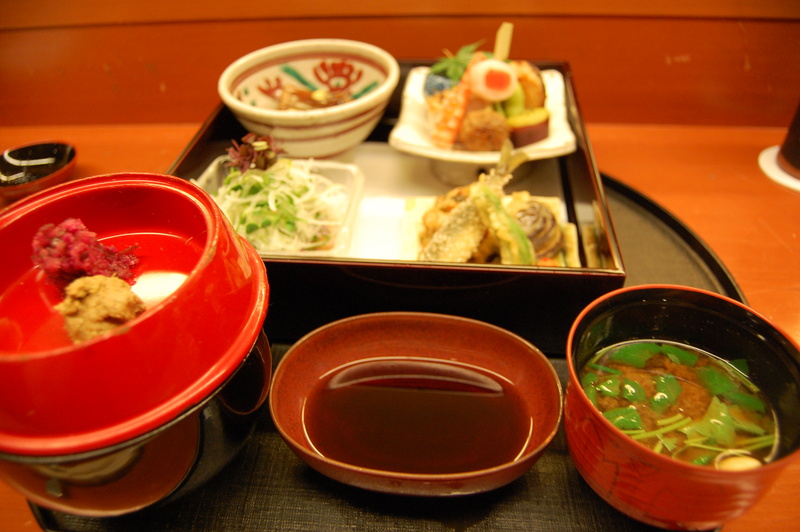 Some department stores will have a branch of Nadaman in the depachika so that customers can buy seasonal and traditional dishes. 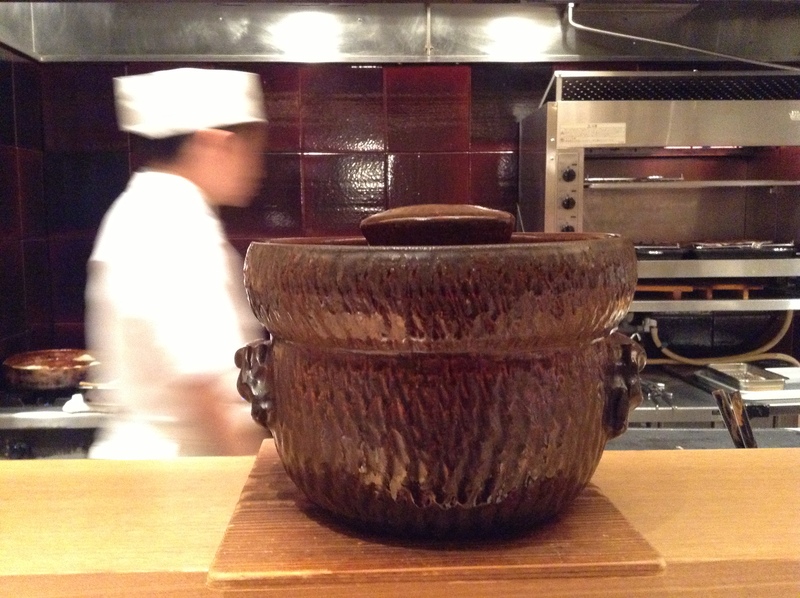 Shunbou is kappō-style so you can see some of the chefs in the open kitchen cooking. 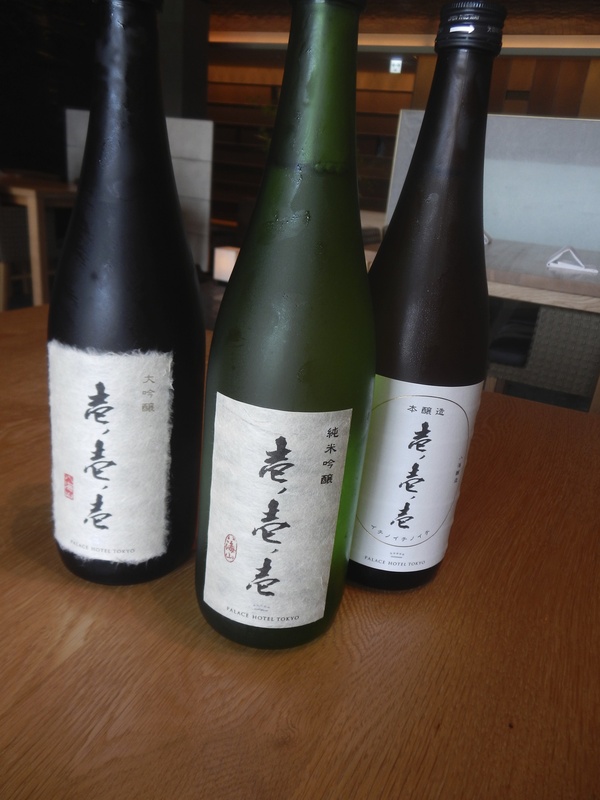 The sake list has many offerings by-the-glass, including seasonal hiyaoroshi from Nagano Masumi brewery, perfect with the ingredients available this time of year. 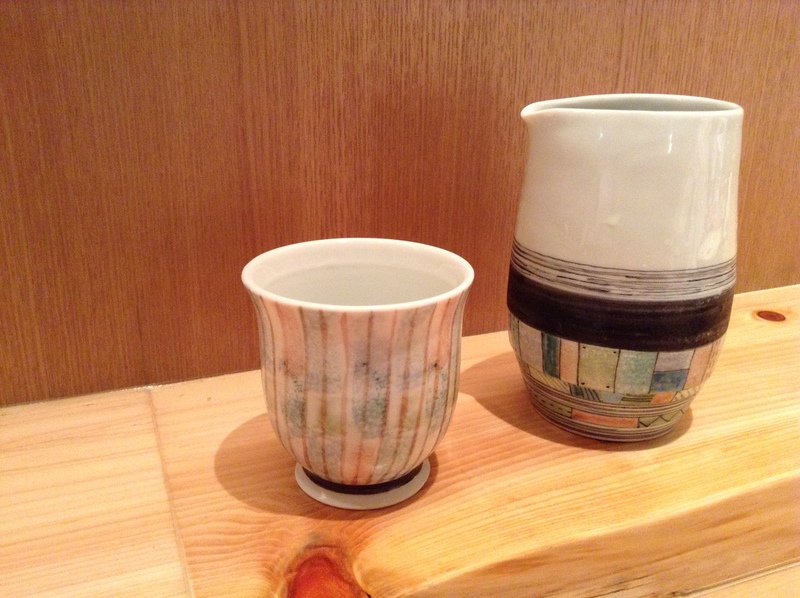 The dishware is also lovely. 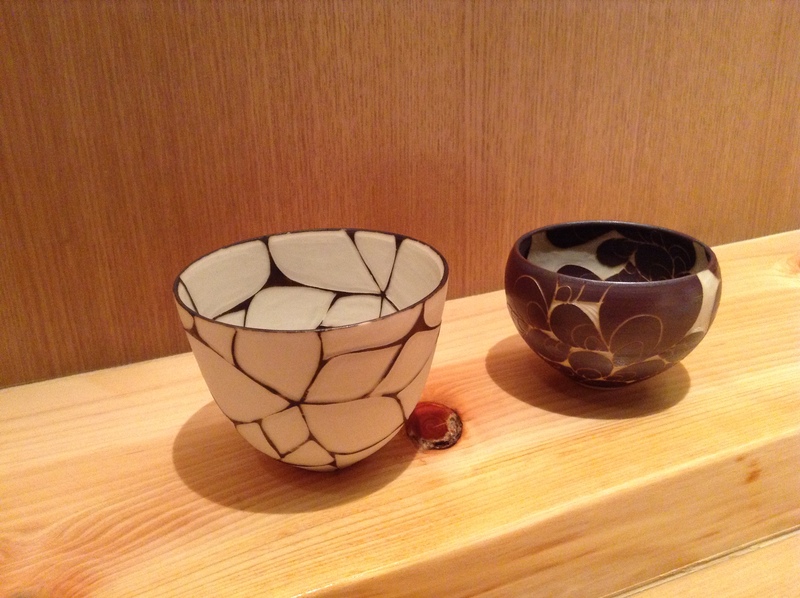 Many had lovely textures, like the teacup, calling out to be held. The meal is also a pleasure for the eyes. 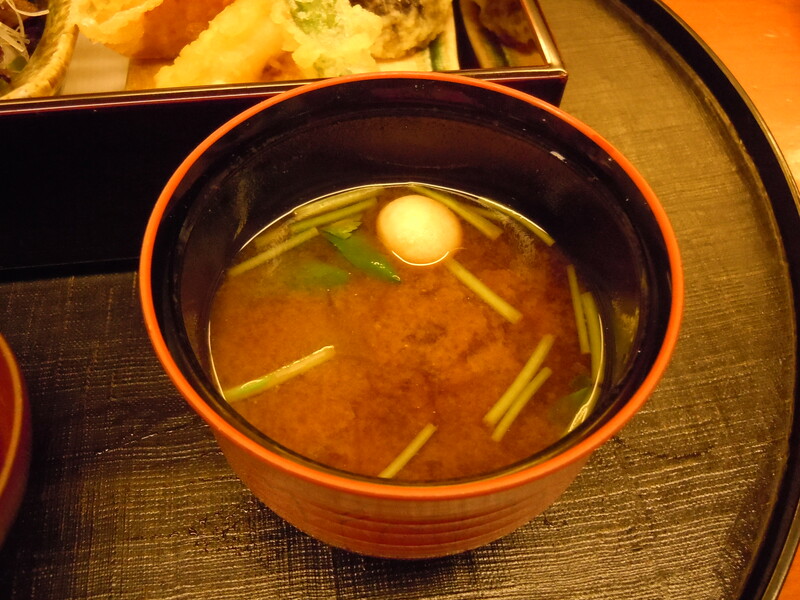 Lunch starts at 1,900 JPY for curry udon or soba with rice. We got a small bite of the curry and it’s a light curry and not too spicy. The menu is vast and offers something for everyone. 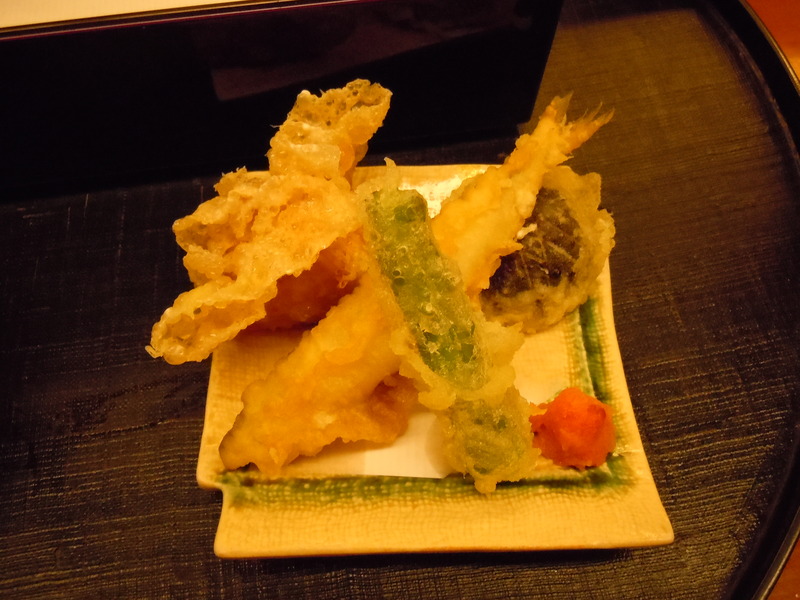 The menu is in English and of course staff speak English, so Shunbou is also a good option for some who may have reservations going to traditional Japanese restaurants with an English speaker. If like me, you can’t get enough of this city, then you’re probably on the go from early in the morning. 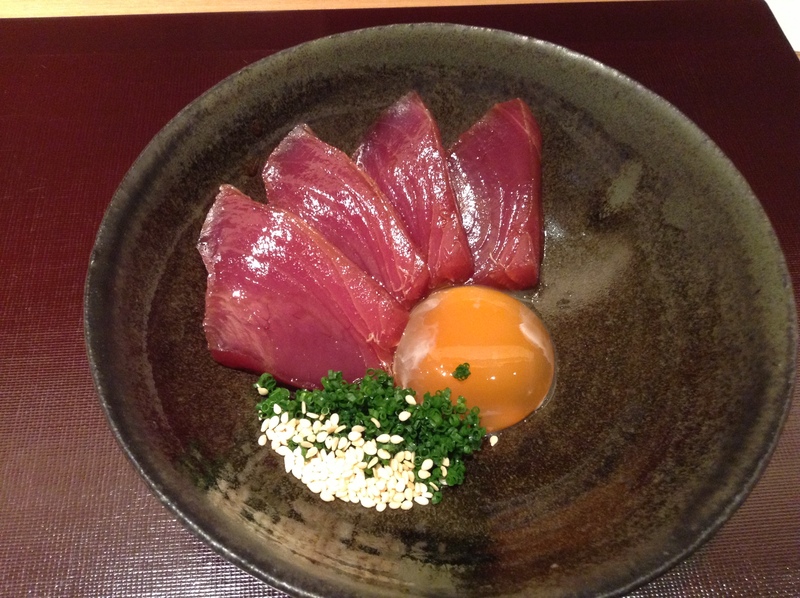 Tokyo dining, though delicious, can leave you dumbfounded. Dinner plans, which many times require a reservation, are easier to plan around than deciding what to have for lunch when caught in the midst of exploring the city. When this happens, and lunchtime pangs spring up, unsolicited, a really great option is 72 Seasons. 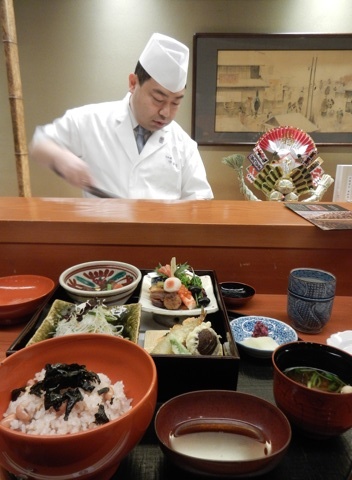 Shichi Jyu Ni Kou – a Japanese restaurant specialized in both kaiseki and teppanyaki cuisine – is in the basement of the Tokyo Station Hotel. It is a midday dining haven. Don’t get me wrong, I’m equally as happy grabbing a snack or five from the smorgasbord available at department store food halls (depachika), or to eat the donburi of the day while sitting on a counter, or graze on a set of mixed yakitori skewers while standing. However, when your legs can’t take it anymore and you long for a bit of serenity, places like Shichi Jyu Ni Kou are an oasis. Serene, secluded, delicious, and right in the heart of the city’s movement. 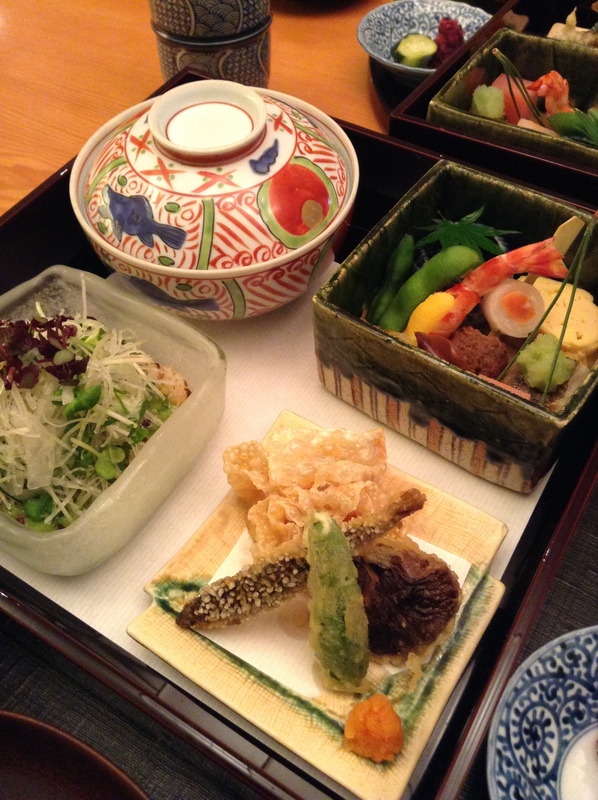 I sat in the restaurant’s kaiseki section and opted for the bento box of the daily. 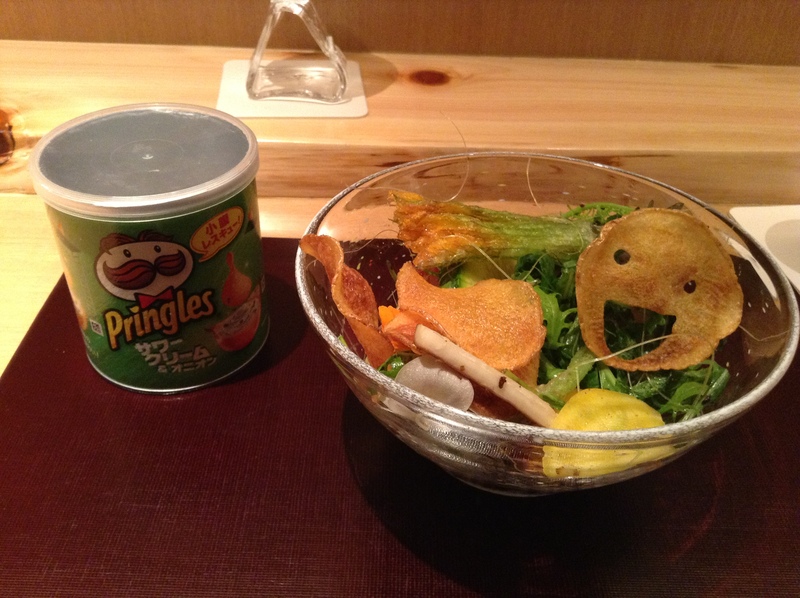 I felt it not only offered the most variety, but also, seasonality and a well-balanced portion for lunch. 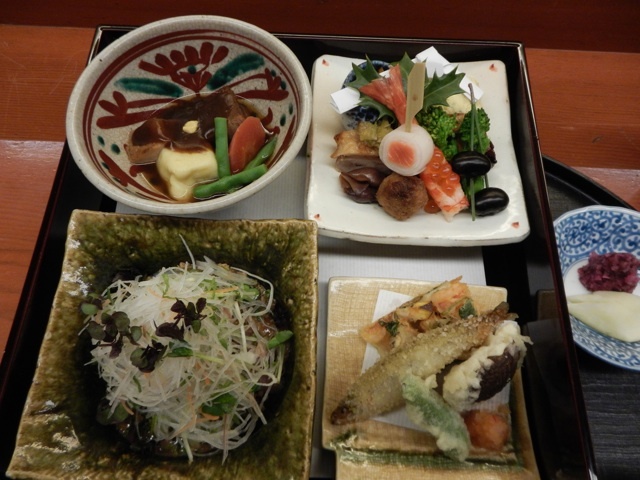 There’s an introductory teishoku menu which features a grilled fish of the day, a more extensive “kaiseki in lighter style”, and several a la carte options to add to the set lunch meals. 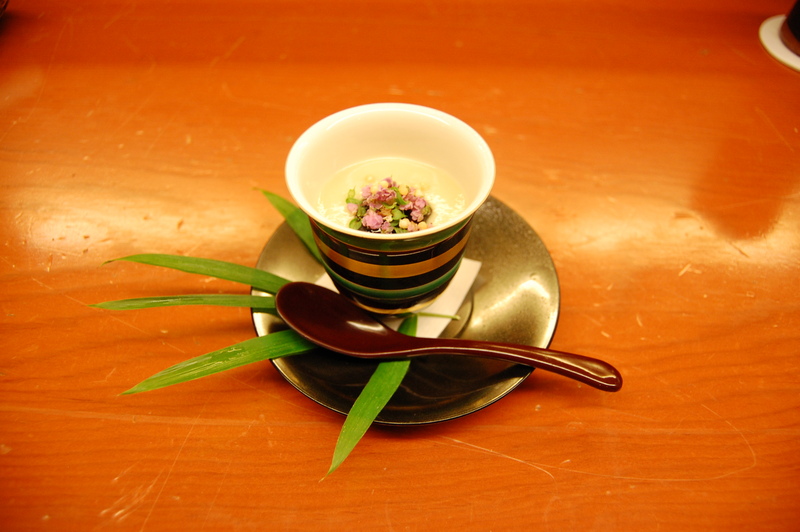 The amuse bouche was a spinach ohitashi, with the works: edible flowers, shaved katsuo sprinkles, and ikura. Splendid. 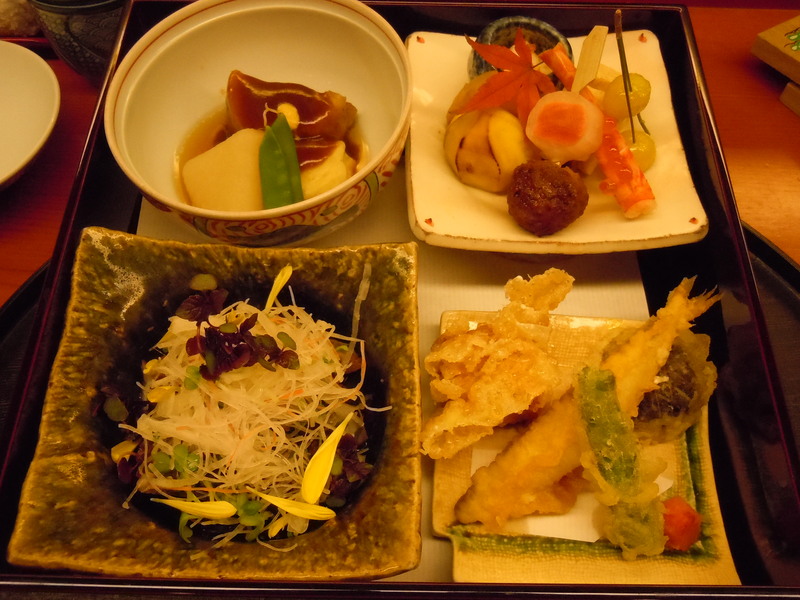 Followed by a lacquer box filled with steamed mussels, nimono stewed vegetables, an assortment of tempura, and a few pieces of sashimi. 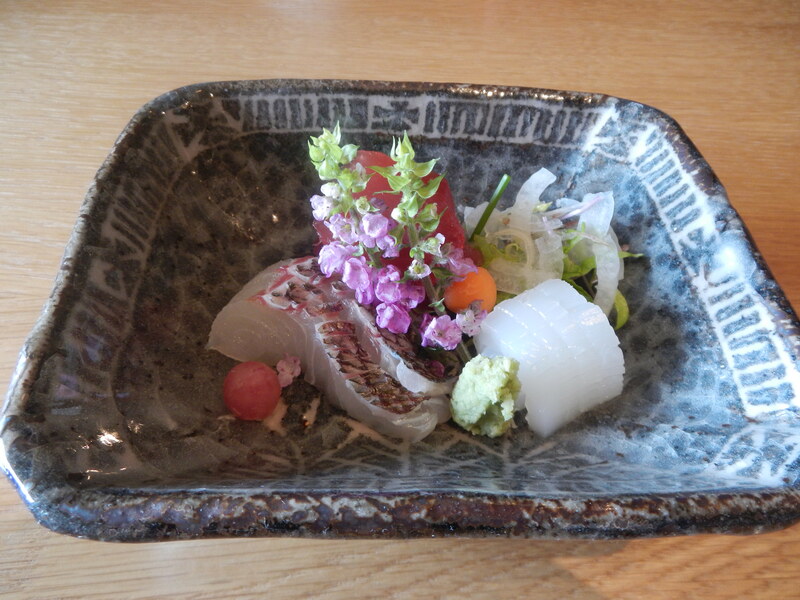 The hassun, artfully plated, had grilled tai (snapper), a piece of tamagoyaki – my favourite addition to any plate, one piece of oshizushi (pressed sushi), a portion of sweet and savoury chestnut paste, cubes of sweet potato, and stewed burdock. 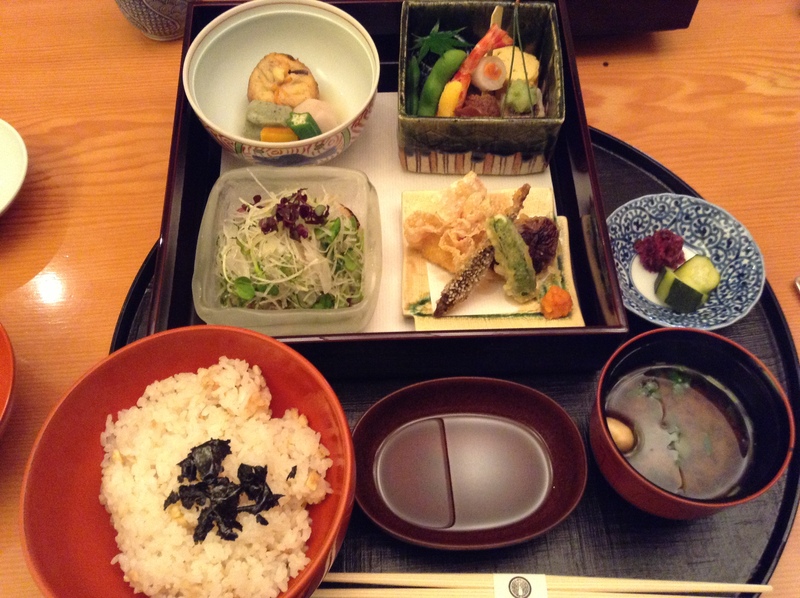 All of those flavours along with miso soup, steamed rice, and roasted tea for 3800 JPY. I was delighted. 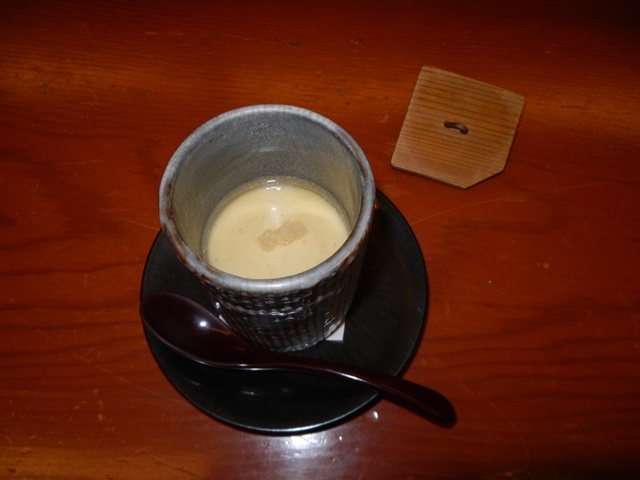 To finish the meal, a different tea was served with a choice of dessert: fruit or kokuto purin (Okinawan black sugar pudding). 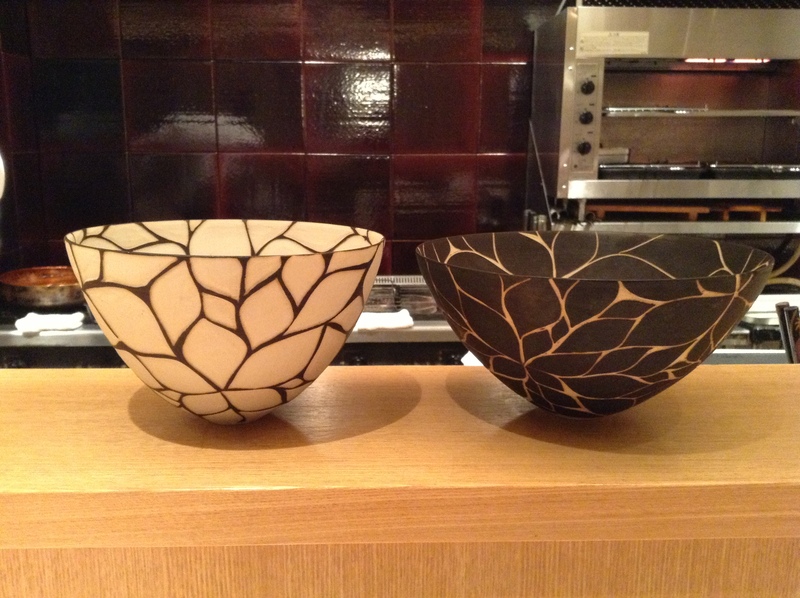 I had the latter, which was caramelized on top like a cold crème brulee, wonderful, just wonderful. 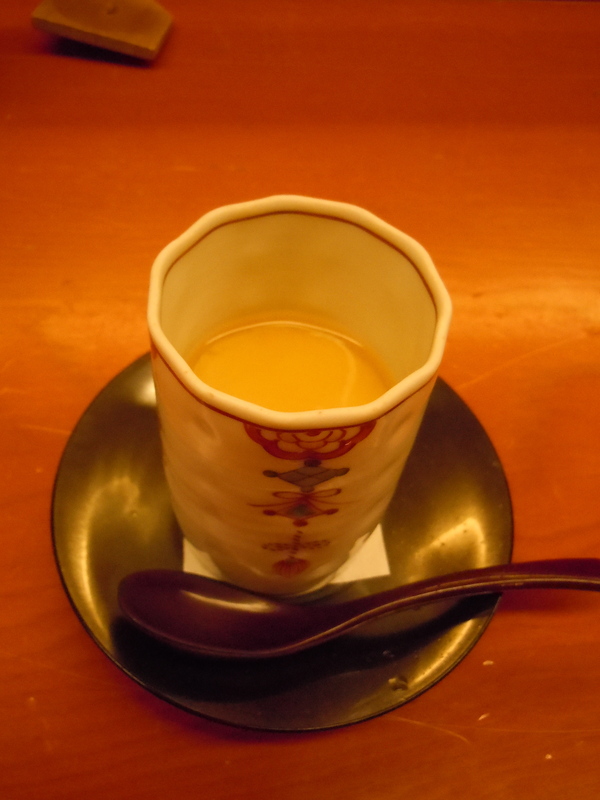 The full menu is not available in English, though a general description of it is. Front of the house service is courteous, and the waitresses, beautifully dressed in kimonos, are helpful and accommodating. 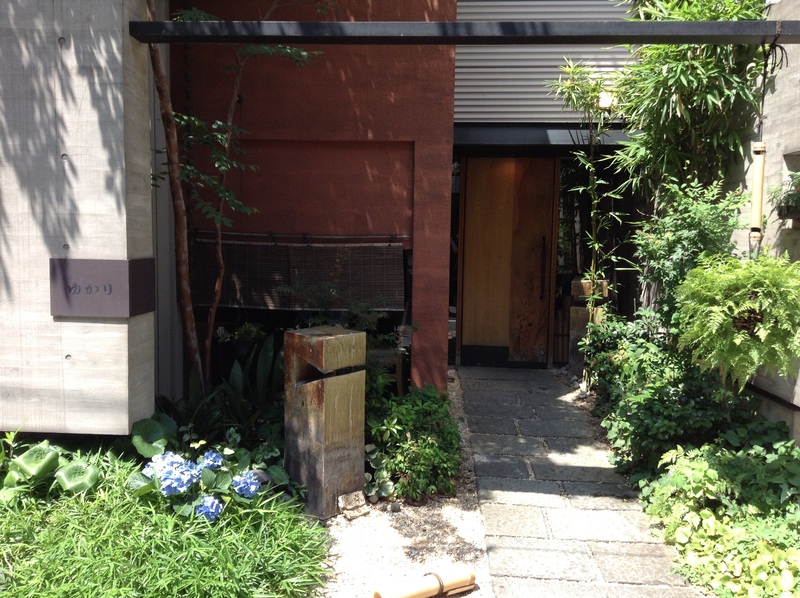 There is a second location of Shichi Jyu Ni Kou, in Roppongi. 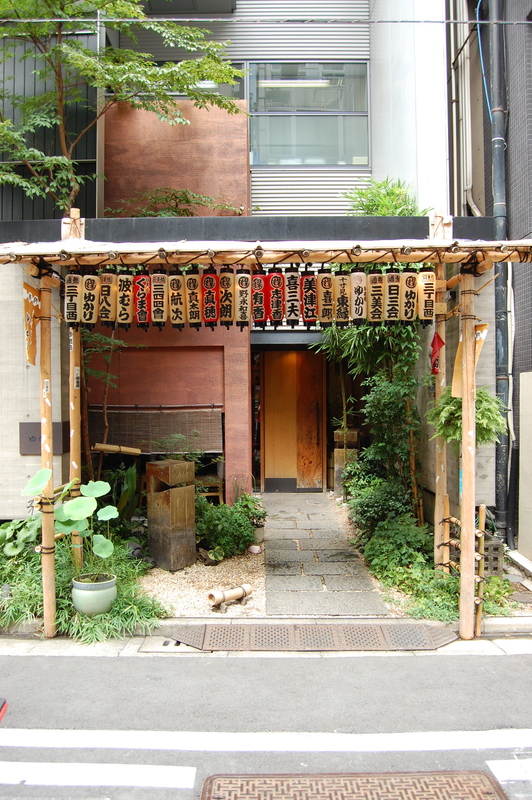 However, if you’re in central Tokyo, and want an hour of serenity before continuing your sightseer trail, I strongly recommend paying this restaurant a visit. 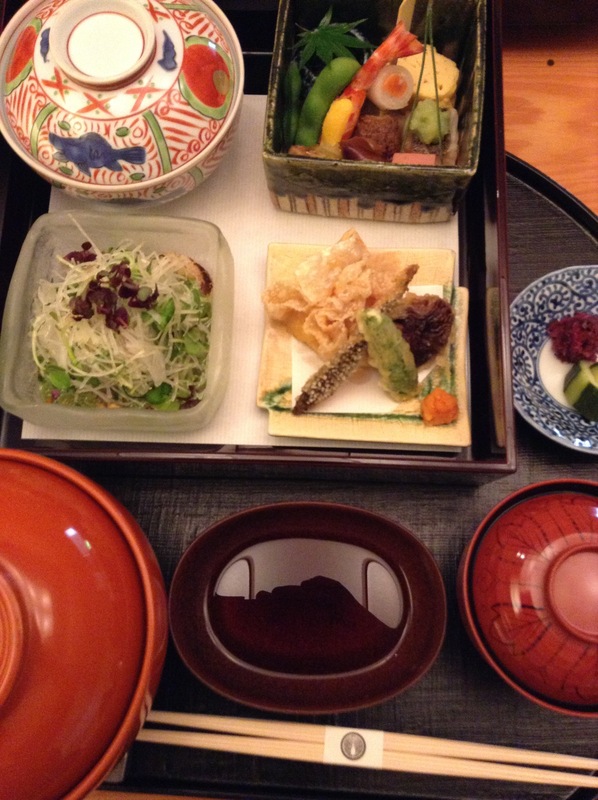 Kaiseki restaurant Wadakura in the Palace Hotel Tokyo is a quiet oasis overlooking the moat of the Imperial Palace. 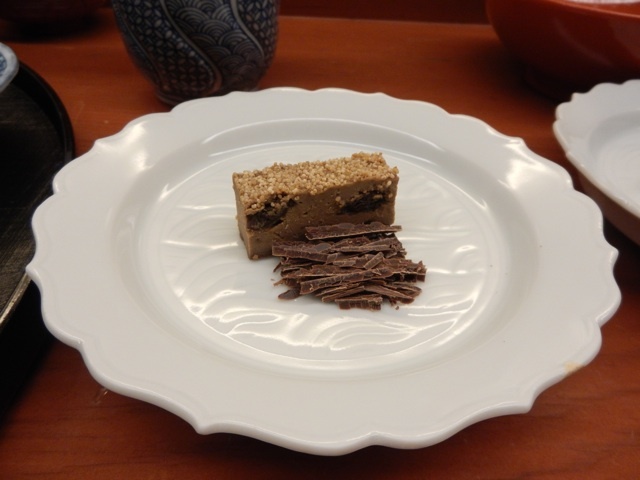 Seasonal dishes are brought out in small portions and presented on beautiful dishes. 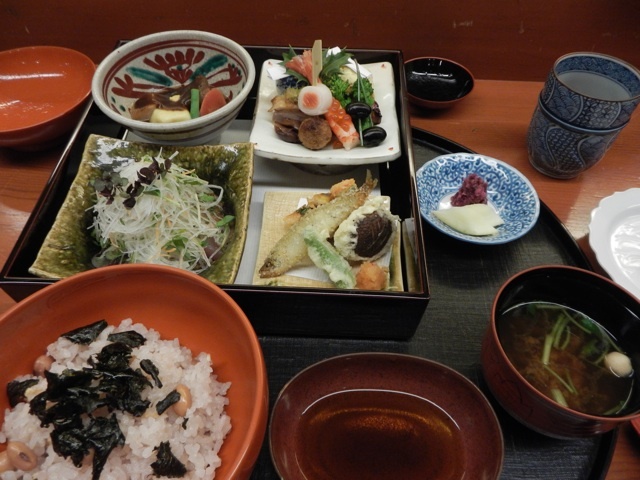 There are many good reasons for having kaiseki for lunch. 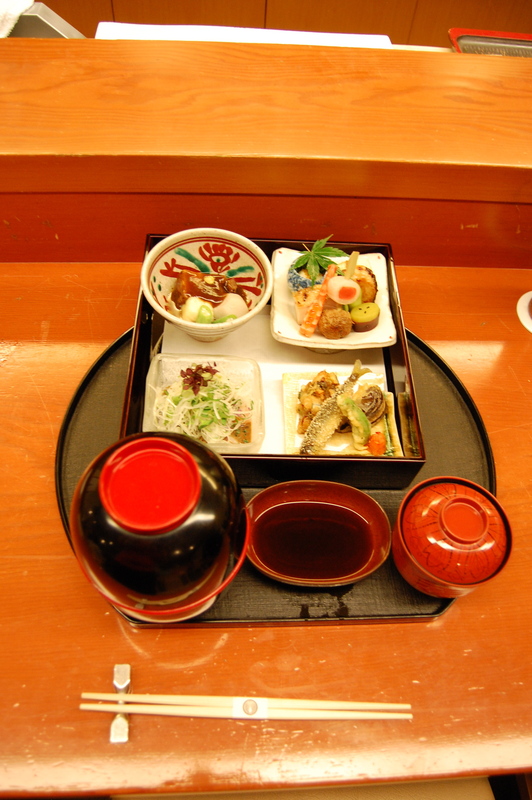 First and foremost, it is much more affordable than having kaiseki for dinner. 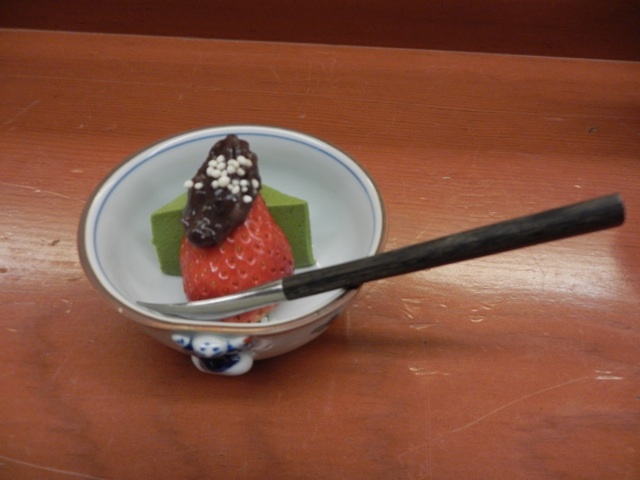 But, more importantly, evening kaiseki meals can be very taxing on the stomach. 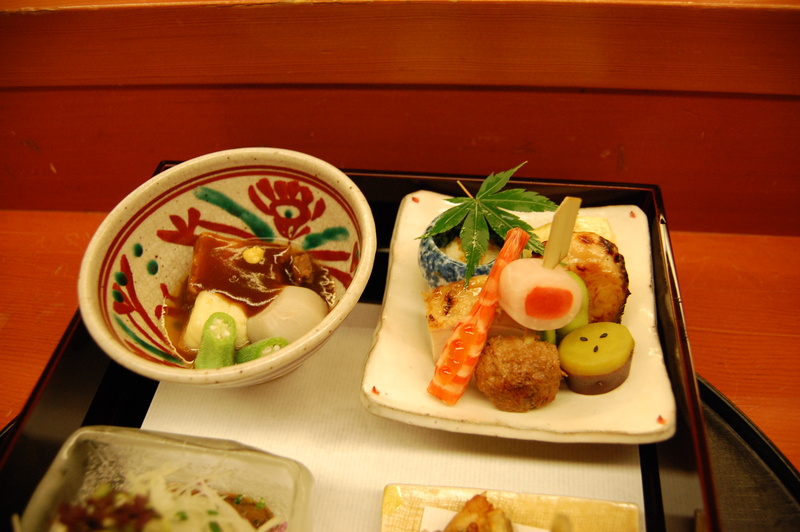 Some kaiseki restaurants are only open for dinner, so it is good to keep in mind the restaurants that are serve kaiseki at lunch, including Wadakura. I dined with a girlfriend so we ordered two different menu items. 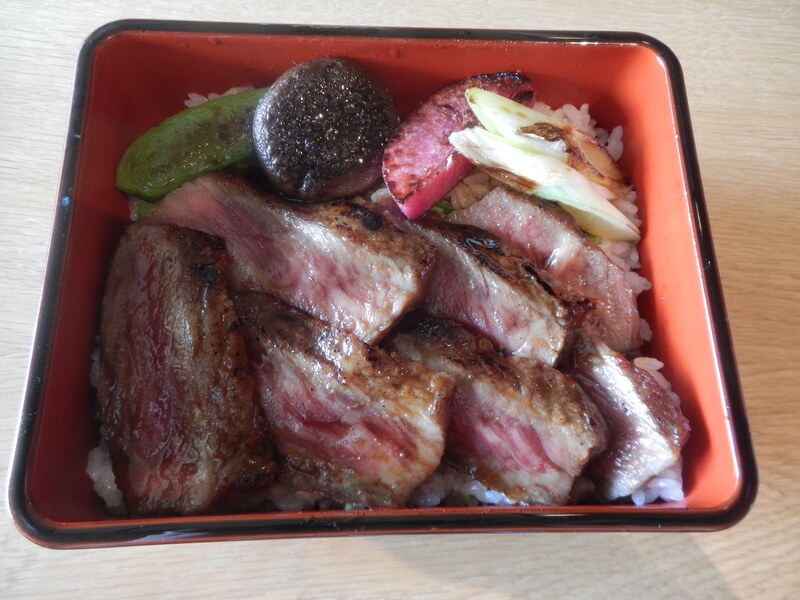 This jyūbako, a square lacquer box of rice topped with seared wagyū sirloin steak as the main part of the kaiseki is 8,700 JPY. 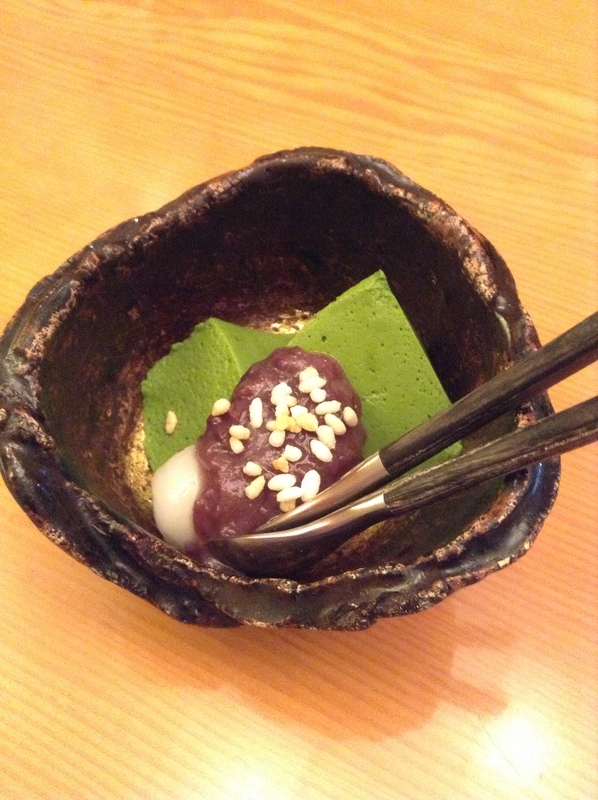 This comes with an appetizer, sashimi, miso soup, pickles, and dessert. 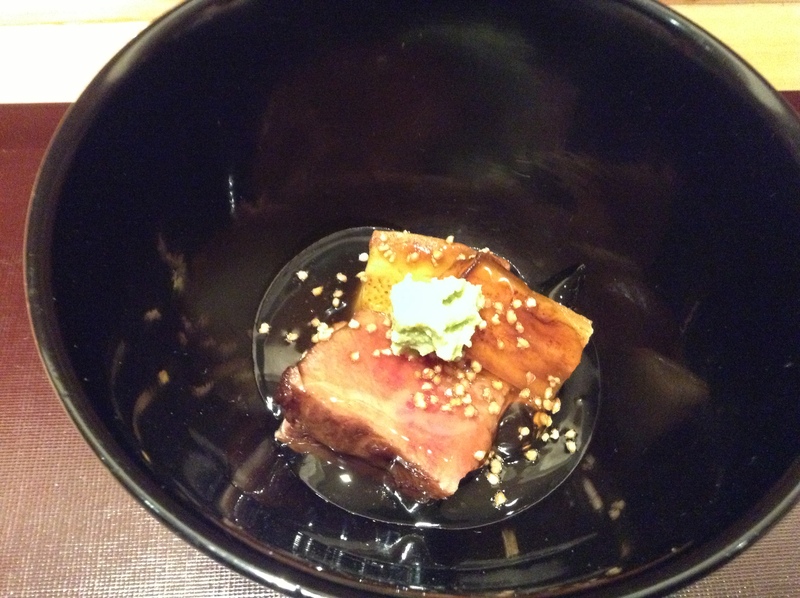 The meat was marbled with fat but was not too rich. A great option for meat eaters. 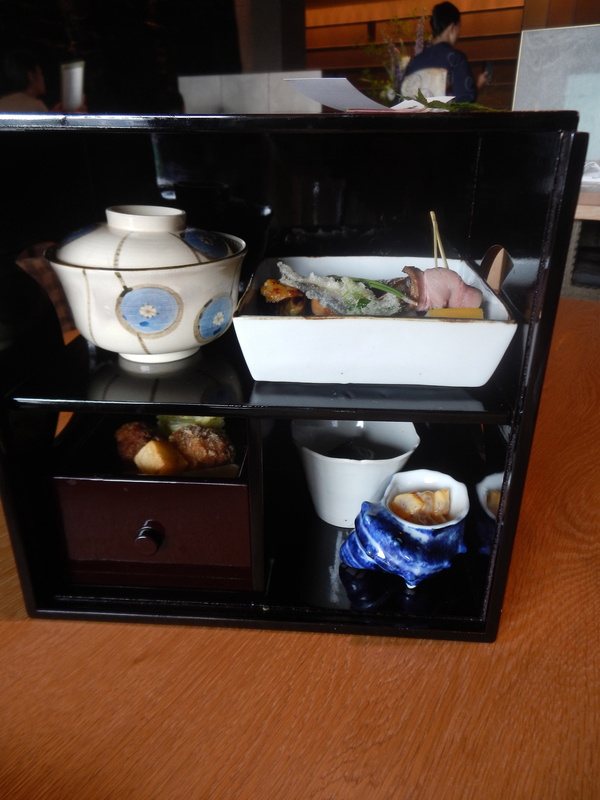 The three-tiered lunch box kaiseki set starts at 5,400 JPY. This is a lovely presentation with many courses served in one box. 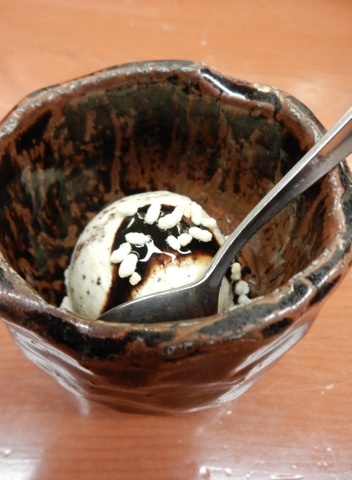 This is also served with rice, miso soup, pickles, and dessert. 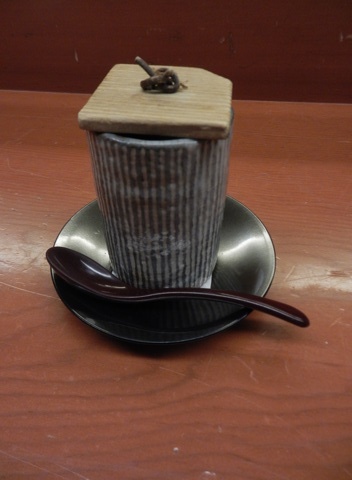 Following are some of the highlights of the Nodate bentō. Grilled delicacies. 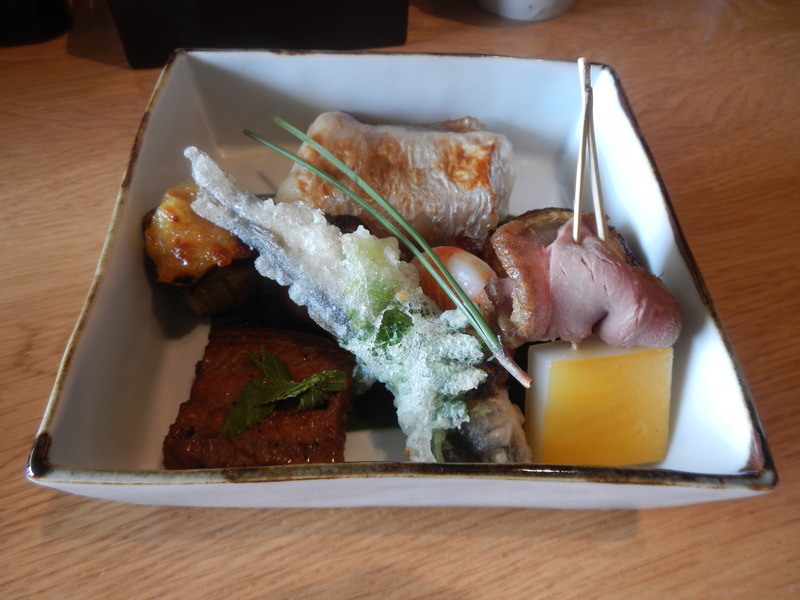 Small bites including duck, eel, chicken, and eggplant. 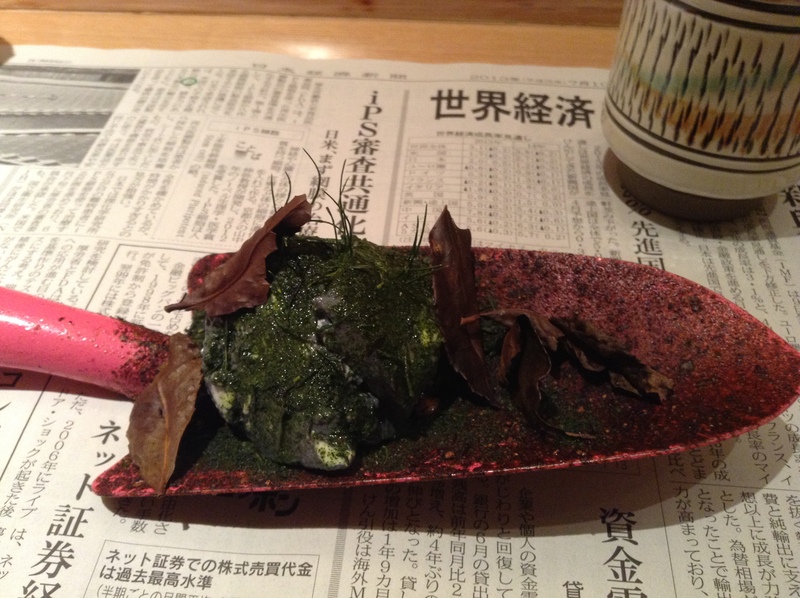 This is a typical spring dish. 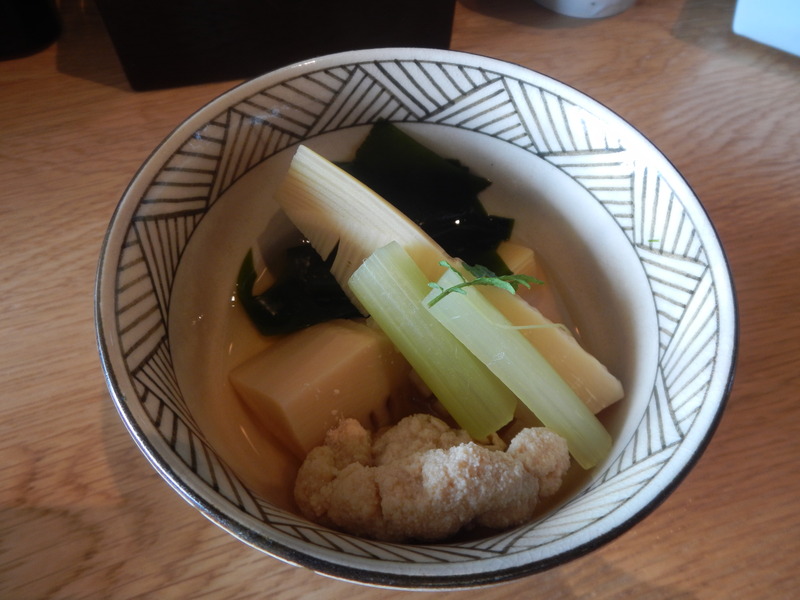 Delicate flavors of the ocean (fresh wakamé and roe) come together with mountain vegetables (bamboo shoots and butterbur stalks). 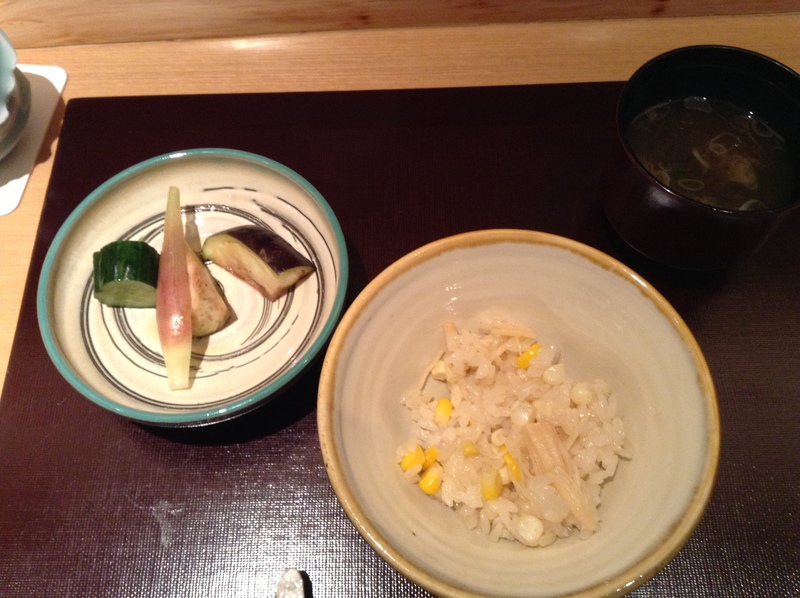 In particular, the sansai mountain vegetables sing of spring. 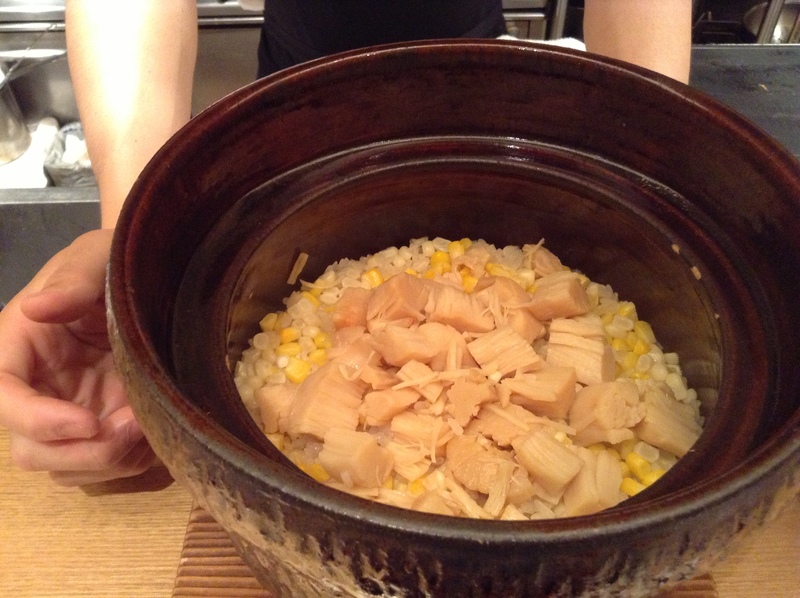 Tender bamboo shoots and the crunchy butterbur stalks simmered in dashi. 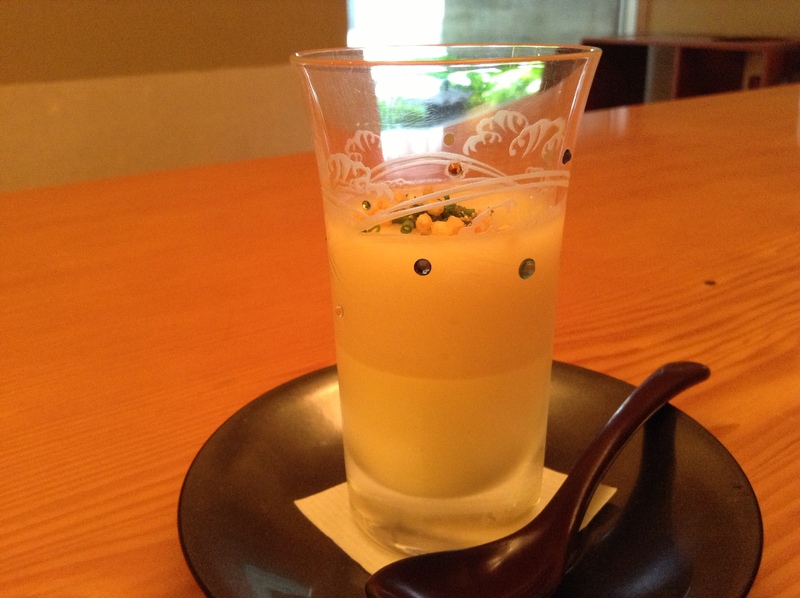 Desserts were the perfect finish to a big meal, warabi mochi with coconut and mango and an aromatic annin dōfu. 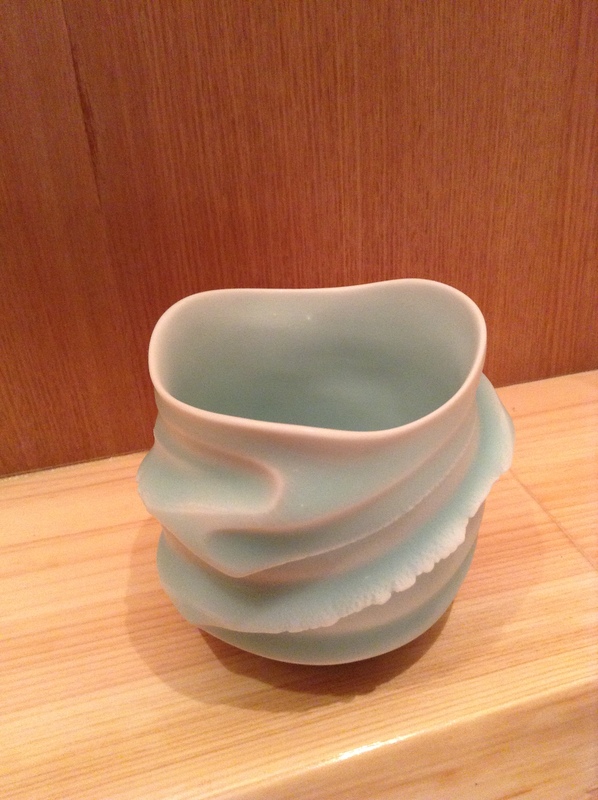 Wadakura is on the 6th floor of the Palace Hotel Tokyo. There are private rooms, but the main dining room has a large window overlooking the moat of the Imperial Palace. There are only a handful of tables in the simple space so it still feels intimate. This day the other diners included some businessmen and well-heeled ladies. The kimono-clad servers are very gracious and could answer my many questions about the different ingredients. 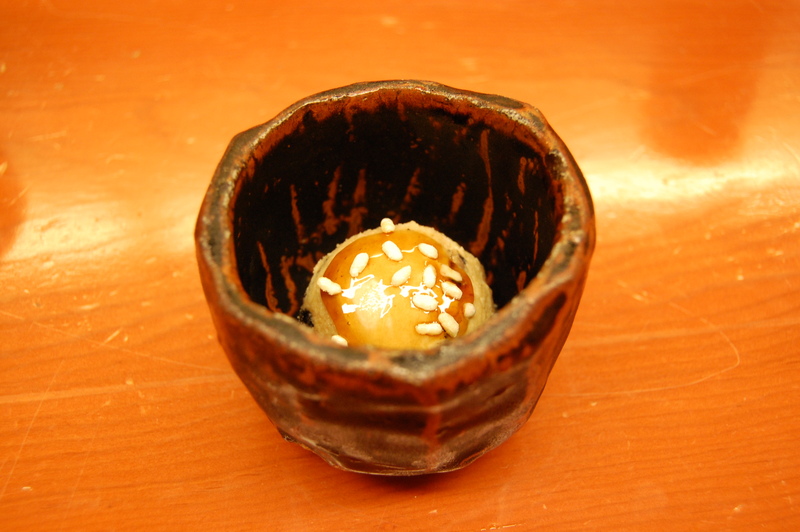 The Nodate bentō comes with a bilingual Japanese and English menu which is a nice souvenir, especially when looking back at the photos of the different dishes. 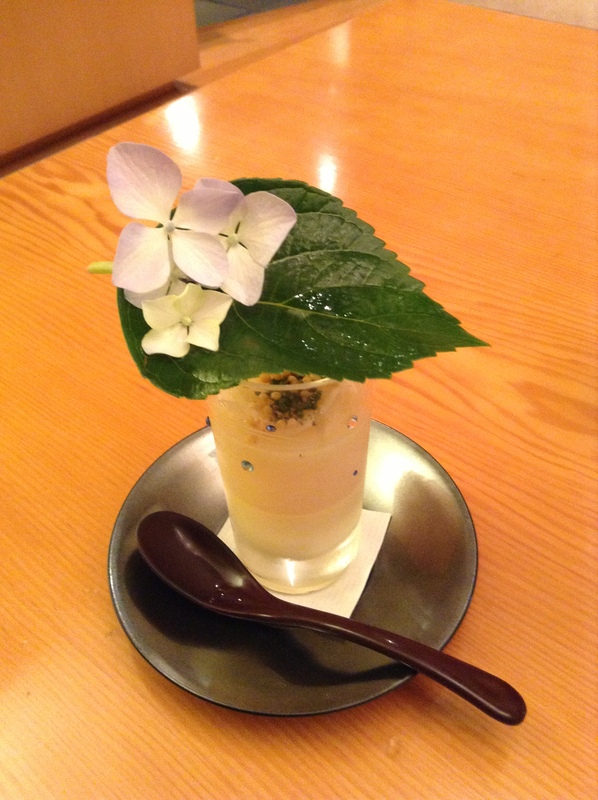 A very nice touch for novices to Japanese cuisine who want to know more about the varied ingredients. 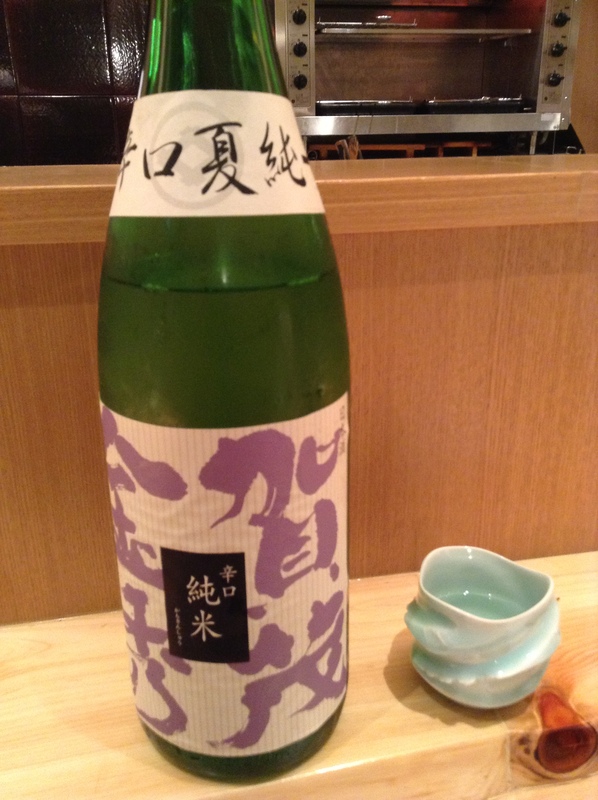 One of the highlights of dining at Wadakura is the private branded saké made for the Palace Hotel by Hakkaisan of Niigata. 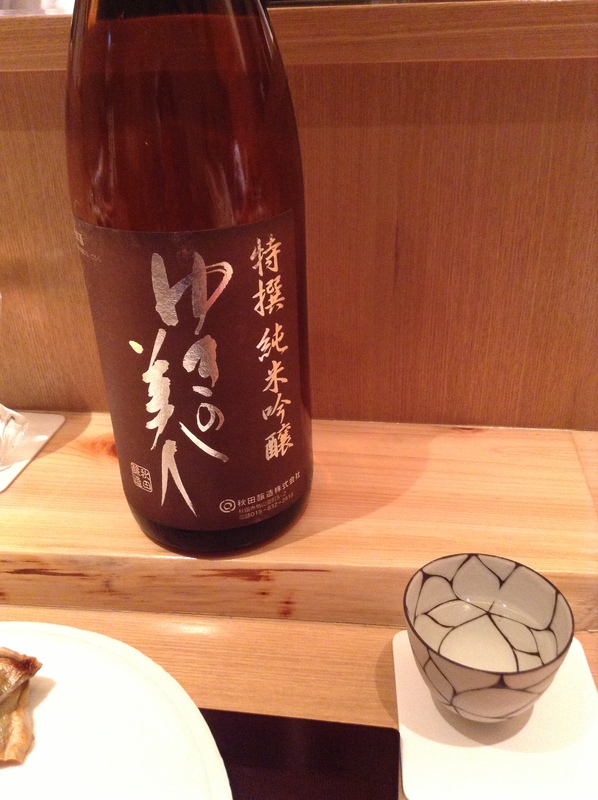 This saké is not sold retail so the only place one can try this is at the Palace Hotel. 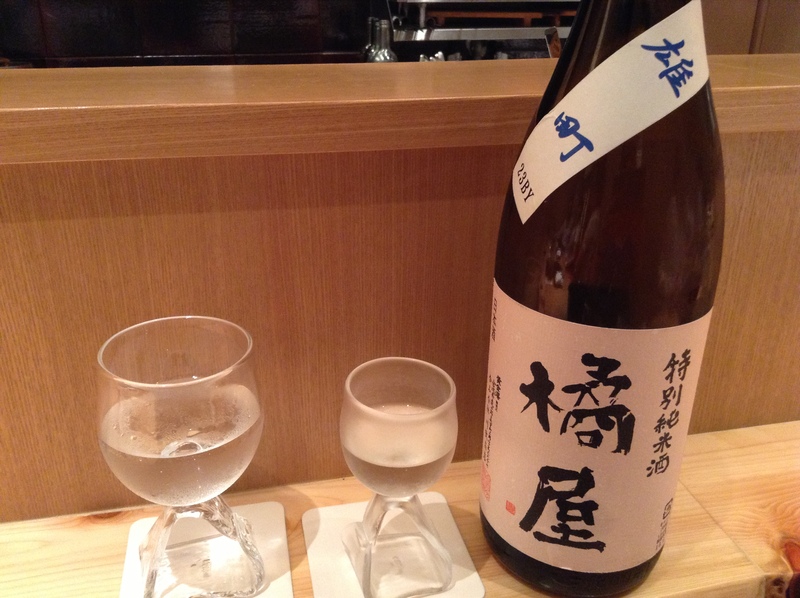 The name of the sake, Ichi-no-Ichi-no-Ichi, is the address for the hotel, Marunouchi 1-1-1. 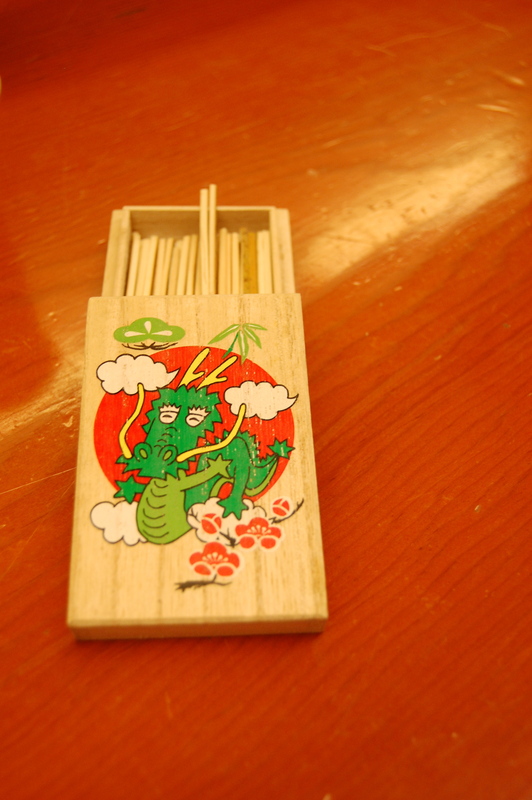 The calligraphy on the label is gorgeous as well. 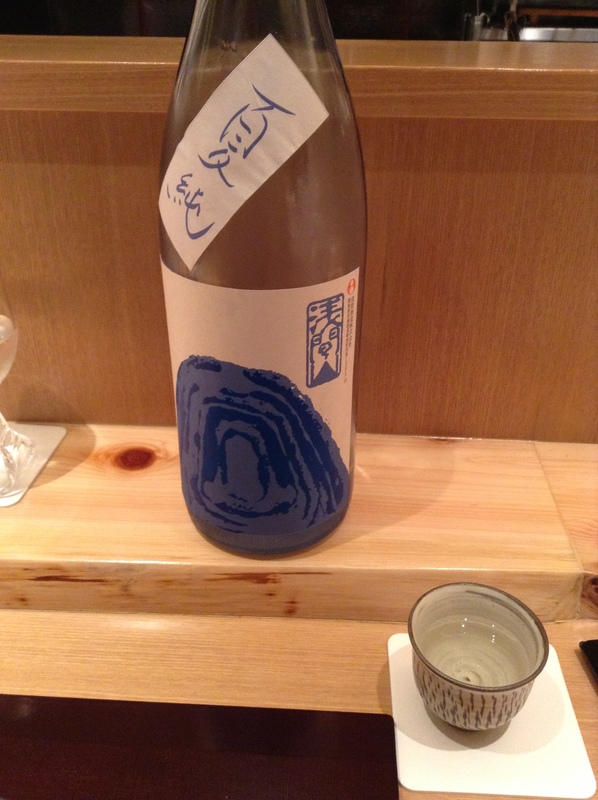 The saké has a nice aroma of rice and is very food-friendly. 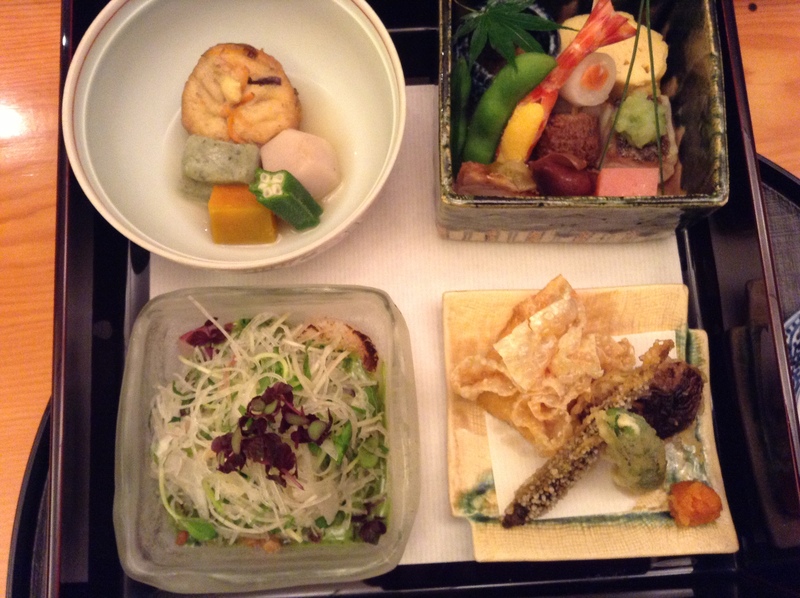 Wadakura, a kaiseki oasis on the moat of the Imperial Palace, is a short walk from Tokyo Station.